Nortwich Witton Street Public Realm improvements. 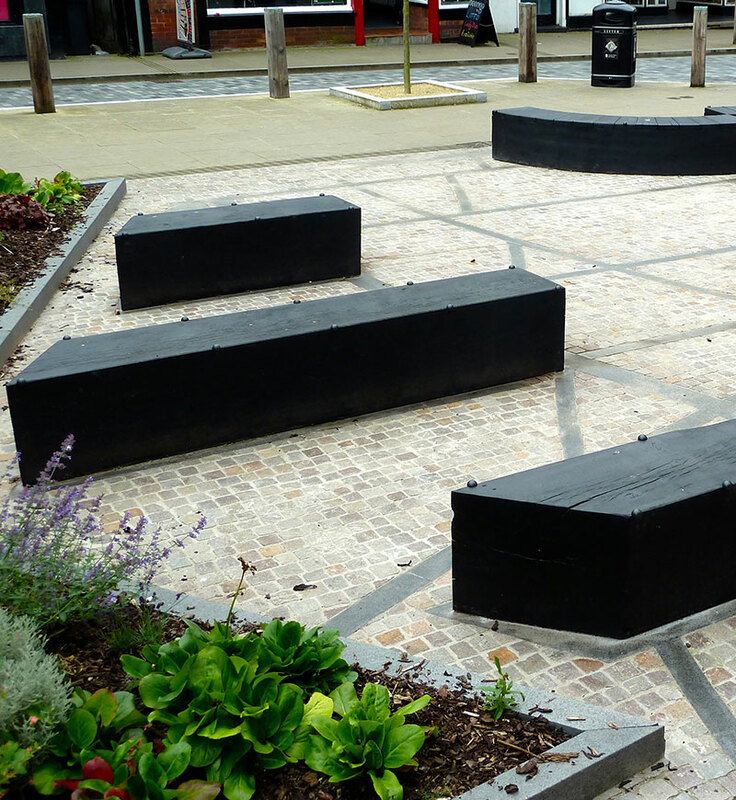 Cheshire West and Chester Council’s scheme transformed an underused public square by introducing traditional paving, seating and planters. We made a pair of concave and convex charred Oak seats that reflected the bracing of the black and white timber building around the town. We also installed some large charred Oak benches that represented the shadow of the adjacent timber-framed building. To complement this we constructed and installed some large charred Oak planters with integrated seating into the square, these helped to soften the hard landscaping. As the plants have become established this underused square has become a very pleasant space for all to enjoy.